Miss SA's exquisite Miss World gown will take your breath away! Here's a first look at the glorious dress our Ntando will be wearing on the Miss World stage! Could this dress be the golden ticket to another Miss World crown for South Africa? 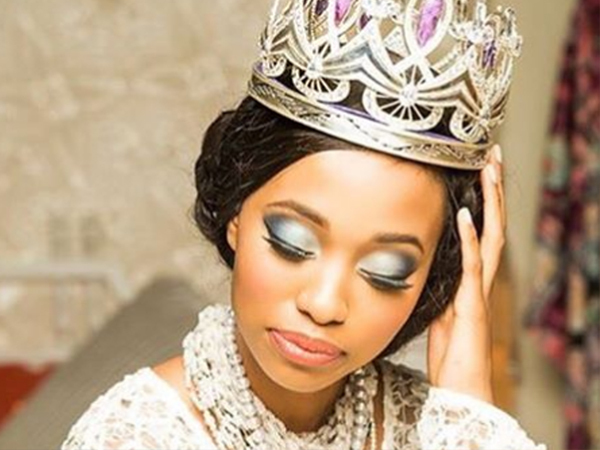 Gold is just one of the hues in Ntandoyenkosi Kunene's exquisite look for the global beauty pageant. Our Miss SA will take to the international state in a sunset-hued gown, designed by our very own JJ Schoeman. This year's event will be held on 18 December at the Gaylord National Resort & Convention Center in National Harbor, Maryland, United States in which the lovely Ntando will take to the stage to represent our country. JJ has been asked to create seven of the main dresses Ntandoyenkosi will wear on the Miss World stage and over and above that she will be wearing number of JJ’s Fashion Week items from this past collection and from the AW16 collection. "It's the most amazing opportunity to showcase your designs at Miss World, because you represent all the design talent in South Africa, you become your country. There are prizes for designers at Miss World so the stakes are high," says JJ. "I enjoyed the process of getting all the looks together for Ntando and we had four fittings. It's a huge challenge to do the perfect dress as all the requirement per dress is by specification around the purpose of the dress keeping the client, body and taste in mind and the overall result of each look." JJ says that the thought process behind the designs came with many brainstorm sessions, sketches, meetings with Ntando's stylist and fabric shopping. "I always keep in mind that some dresses are meant for the stage and the design aesthetic is different."